Remasters and remakes are a tricky business, and it only gets harder the further back in video game history you travel. One of my favourite childhood genres, the point and click adventure, has seen its franchises variously rebooted and remade in recent decades in paper-thin third-person action games, hideously re-skinned anniversary editions or lazy direct ports with little optimisation. To bring Shadowgate back is a particularly deep pull — a 1987 MacVenture that was also ported to the original NES, it was an 8-bit adventure that still had arcade trappings that LucasArts would later obliterate. Permanent death states, enemies that could kill you in a hit and obscure puzzle solutions that were as deadly as they were unfathomable. It sounds like the total opposite of player’s expectations from a point-and-click in the modern day, and perhaps that’s why Zojoi’s fairly faithful reimagining feels surprisingly refreshing. 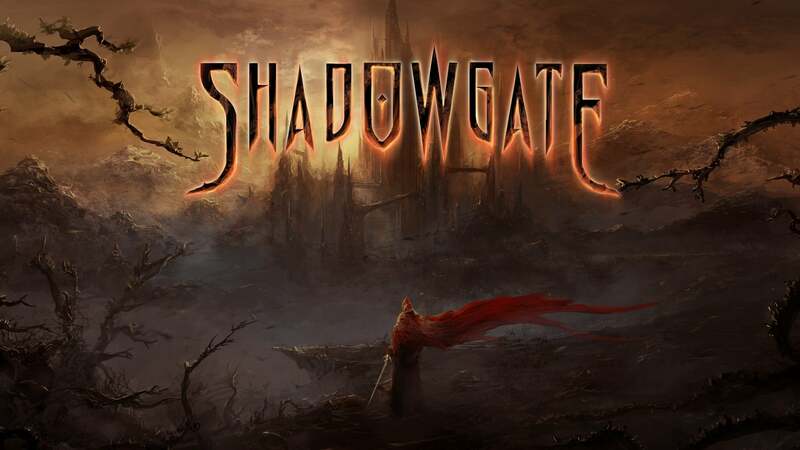 Don’t get me wrong — if the idea of a punishing adventure game that will kill you for daring to pick up an incorrect item is unpalatable, Shadowgate will not satisfy you. It’s also not a terribly complex game in terms of visuals or gameplay — if you have played Artifex Mundi games you know the kind of experience you are in for. 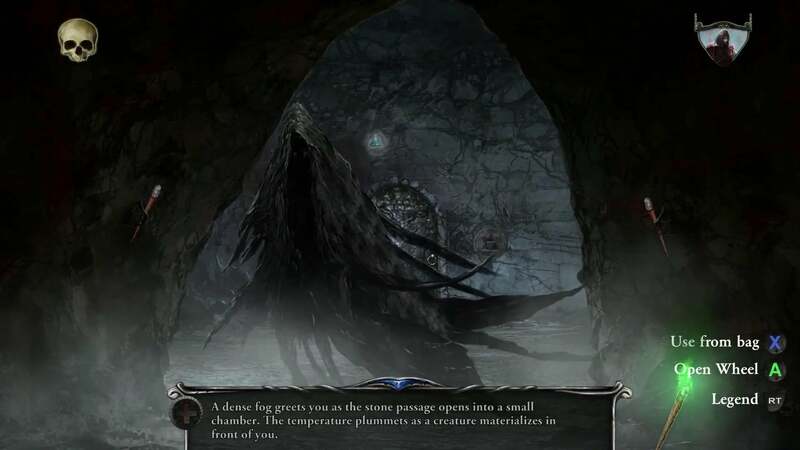 But if you are looking for a traditional Dungeons and Dragons style challenge in your puzzling, and the idea of possibly having to draw your own map and puzzle solutions just to stay alive is appealing, Shadowgate provides that old school punishment versus reward in a way that’s still accessible and readable. Shadowgate has left the 8-bit graphical design behind but given the small scale of the project, the visuals are still pretty basic. Most screens are stills with a small amount of movement and some particle effects, but it’s nothing that couldn’t have been produced decades ago. That said, the painterly style of the backdrops is actually quite appealing and dramatic, giving the world of Shadowgate a dream like quality that is completely appropriate. The plot, too, is pretty basic as you might expect from a game originally designed in the eighties. It’s fantasy 101 — there’s a dark lord, there’s elemental magic, there’s goblins and dragons. It’s completely traditional and lacks much in the way of innovation, but it’s not terrible either. Crucially, it keeps walls of text to a minimum — you really don’t need to follow a lot of the plot and you also don’t need to hold the various characters and factions in your head, as you might with an old-school fantasy RPG. Unfortunately no amount of nostalgia can save the audio, which is pretty flat and repetitive. It’s the fantasy equivalent of elevator music, and can be safely turned off in favour of your podcast of choice as you navigate the world. The visual design is textbook fantasy dungeoneering. The puzzles are baffling to put together, in that frustrating manner that never really left the genre even in the highly accessible LucasArts days. You will spend time using items with other items and combining things in a seemingly random fashion until suddenly you have the answer. Luckily the hints system is robust thanks to your skull pal Yorick, and there’s actually a fair amount of environmental clue-dropping compared to its contemporaries in either era. Thanks to the fact that the adventure is in first-person, you are at least not tackling an infuriating character movement system as you might in other point-and-clicks. The radial menus are a little clunky at times, but once you have the hang of the way that the menus have been mapped to the controller you shouldn’t have too much trouble. The original Shadowgate is notorious for the ease with which you can die, pretty much on any screen — and this is still very much a part of the remake. First off, you have to keep finding torches to replace your light source — as soon as that goes out, you are done. Luckily it’s not based on real-time, but on “turns” (i.e., any action you take will reduce the flame). Even on Hard mode a single torch’s longevity is fairly forgiving, so as long as the player is vigilant about picking up additional torches it’s not as onerous a task as it sounds. It also gives the game a bit of tension and thrill — you will be happily clicking around finding solutions before you notice how much darker the room’s ambient light is getting, and replace the dying torch in your hand just in time. Get lost in a good book, and you might not notice your torch snuffing out. Pretty much all enemies you encounter in the game will kill you in one hit after appearing, and sometimes you simply don’t have the items on your person to deal with them. Happily one modern concession is a save system. Make sure to save when stepping into an unfamiliar room, and be wary that some items can be lost or destroyed that are critical to reaching the end of the game, so the autosave may not help you in the end. By keeping the central game simple and reasonably accessible, the developers have been able to add lots of modes and challenges to the proceedings. As well as three difficulty modes, the player can choose to turn hints on or off and also tackle Ironman mode, which disables saves entirely. This is the ultimate nostalgic challenge and will probably get players marking out enemy positions and puzzle solutions on scraps of paper like in the good old days. 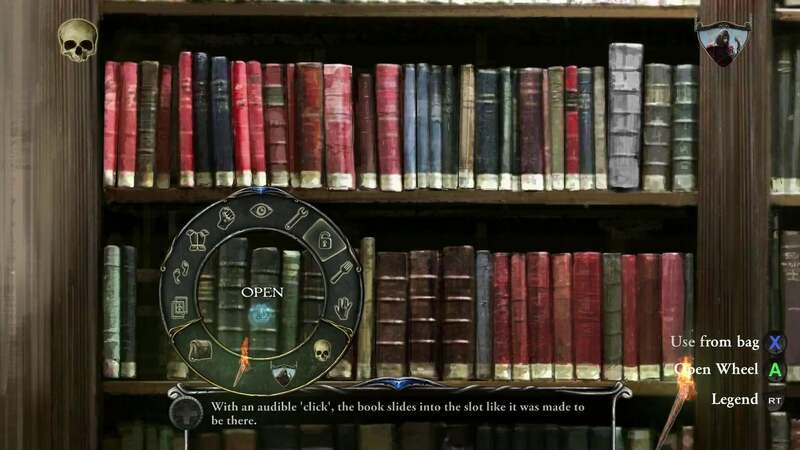 There’s a bunch of secret quests and easter eggs among Shadowgate’s gloomy halls too. 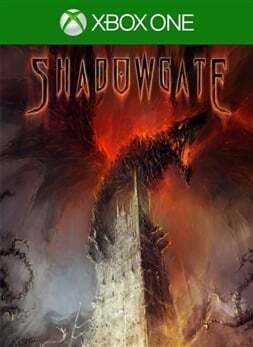 Fans of the original game should enjoy this version’s faithfulness to many of Shadowgate’s dungeons and challenges, but there’s also plenty of new content to make the world seem more robust, and its details more readable. 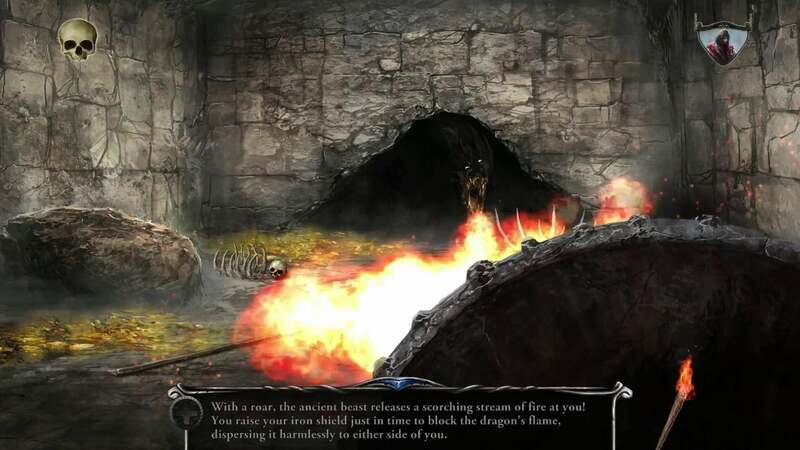 Like the original, Shadowgate rewards smart, fast decision making over brute force. Achievements-wise, you are in for a bit of a grindy challenge. You will have to complete the whole game, in one session, on Hard (Master) Difficulty, with no hints and with Ironman enabled. If you can pull all of those off in one session you will get a hefty sack of stacked difficulty trophies. You will have to play through at least once in the other two difficulties, and you will also have to complete various side quests. Unfortunately the biggest grind is an achievement to examine 600 objects in the world — the count carries across playthroughs, but nevertheless it’s a numbing and frustrating chore. The reviewer spent 10 hours battling through the game's most punishing difficulty, earning 28 of 60 achievements. An Xbox One digital code was provided by the publisher.